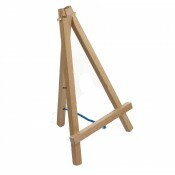 Mabef Table Easel M/16 (H Frame) studio miniature. 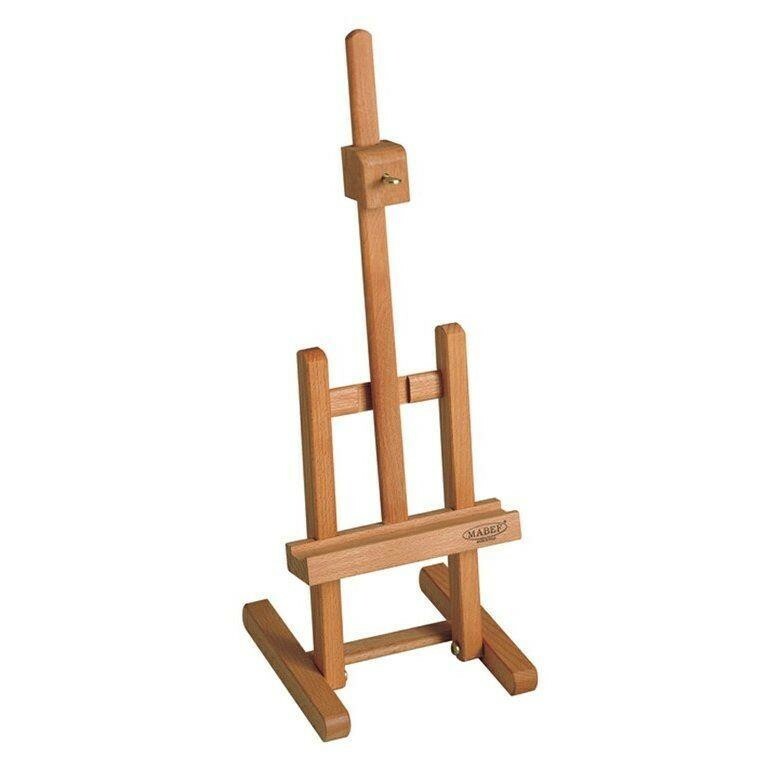 The M16 miniature studio easel is constructed of oiled, stain resistant Beechwood. 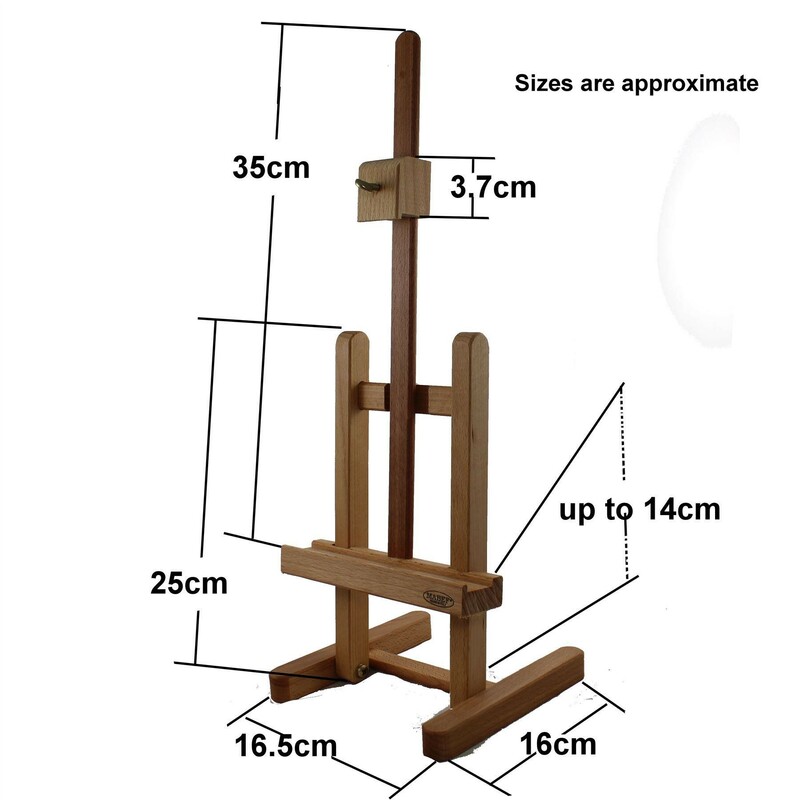 Featuring adjustable canvas rest. Maximum canvas weight, 500 g (18 ounces). 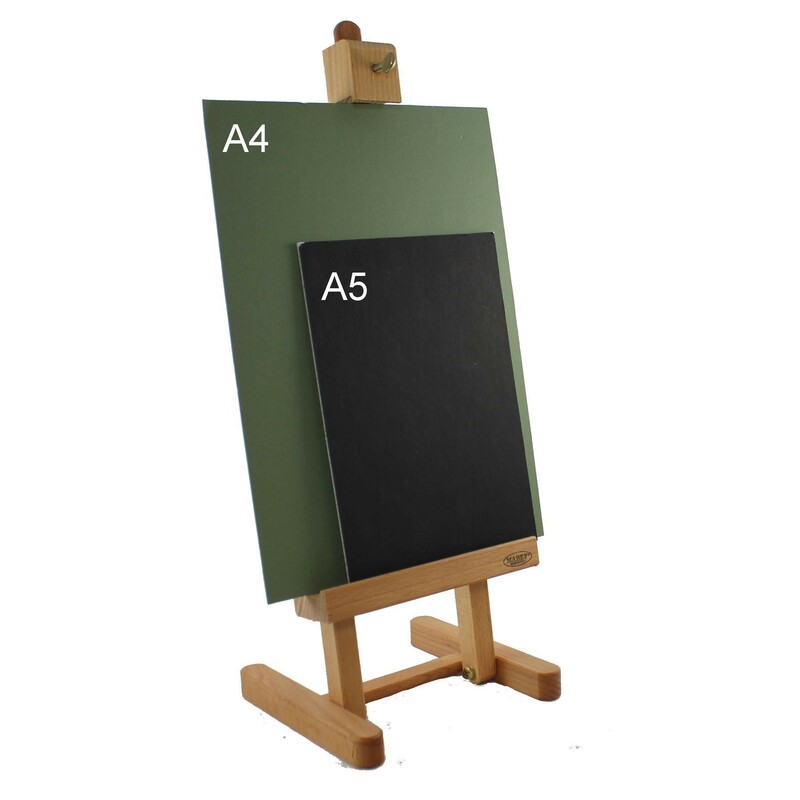 Ideal for displaying menus, posters, photographs small frames or even doing small artwork on. 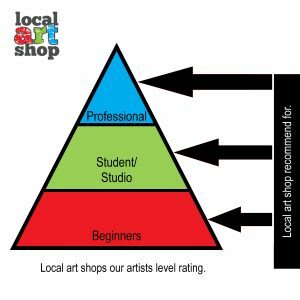 Made to the highest quality by Mabef.